The Holy See and the Republic of the Union of Myanmar (Burma) are establishing bilateral diplomatic relations, announced a statement by the Holy See Press Office. Pope Francis received the Foreign Minister of Myanmar, Aung San Suu Kyi, in a private audience the morning of Thursday, May 4, 2017. 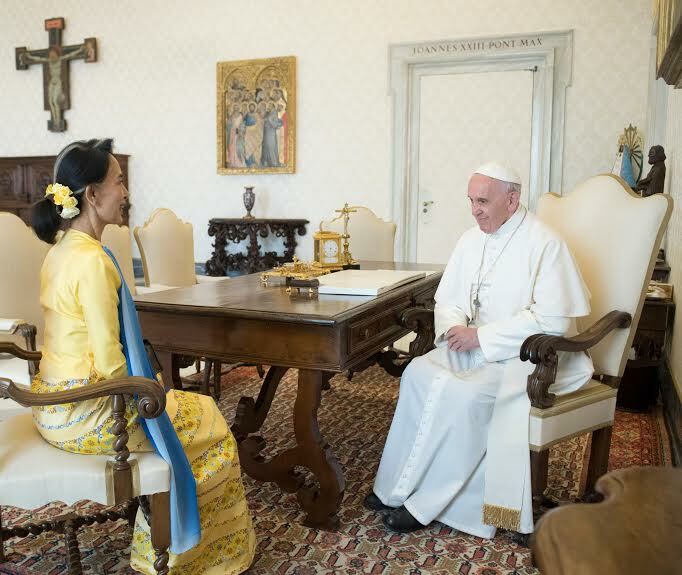 The statement was circulated after the Pope’s meeting with the current Secretary of State, Minister of Foreign Affairs and Minister of the Office of the President of Burma. This was the second visit of the 1991 Nobel Peace Prize winner to Pope Francis since October 28, 2013.